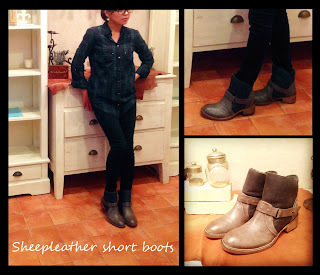 It's time for comfy sheep leather short boots!! 1. 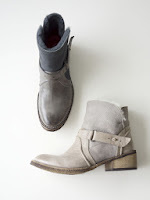 Super warm Italian made soft leather, keeps your feet comfortable. 2. Doesn't have that chunky look that usual sheep leather, keeps your leg sleek and stylish. 3. Soft rubber sole keeps your feet warm from the super cold road.